Bacon is a unifying force in our house. As soon as the bacon starts sizzling in the pan, the whole family comes together in the kitchen to wait eagerly for the first few pieces to be ready. 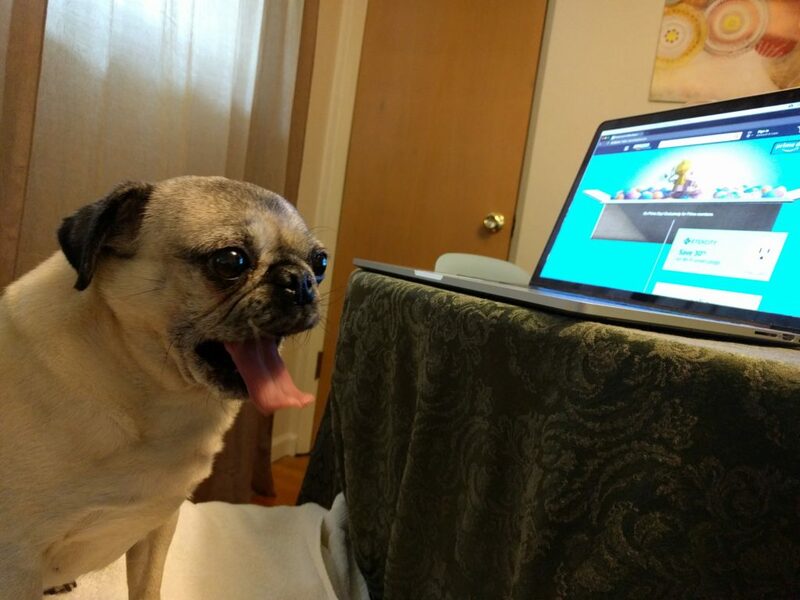 Nickie the pug is ready to make a mad dash to follow her nose to the source of these savory smells! 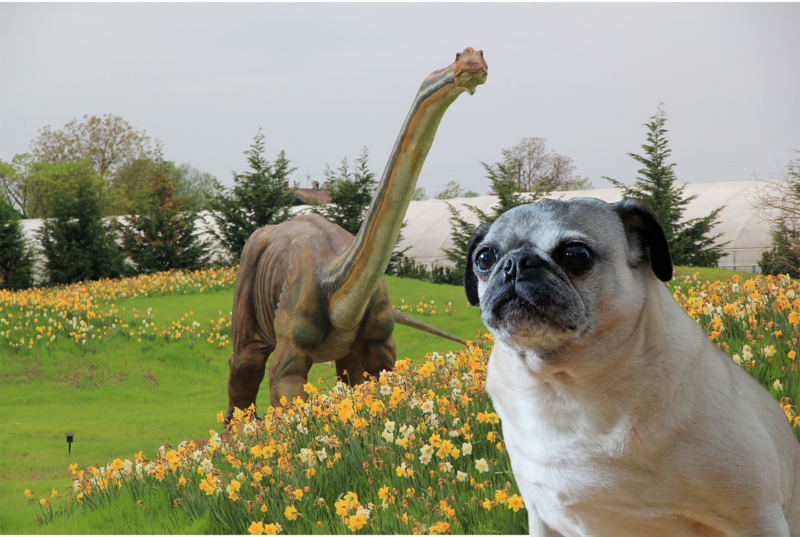 It’s time for a prehistoric party! Nickie the pug is dreaming of dinosaurs today because she’s so excited about Pug Boxes shipping out on Monday to all of her friends! There’s still time to place your order for this month’s prehistoric party box. You’ll be dino-sorry if you miss out on this one! 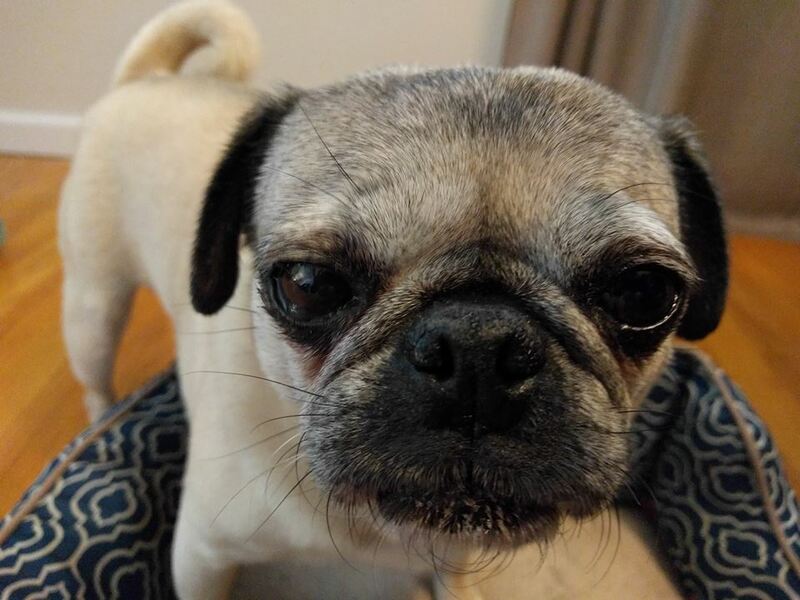 Visit https://www.pugboxes.com to reserve your dinosaur-themed box of treats and toys for your pug, and a cute pug-themed item for you! 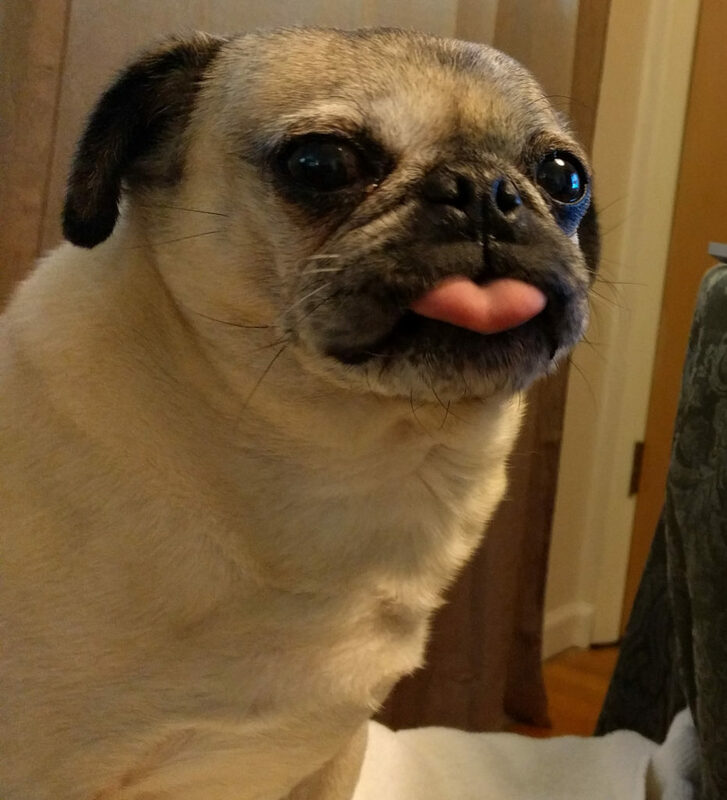 Nickie the pug really gets into #TongueOutTuesday every week, but this week was particularly fantastic because her cute little pink tongue is perfectly heart-shaped! 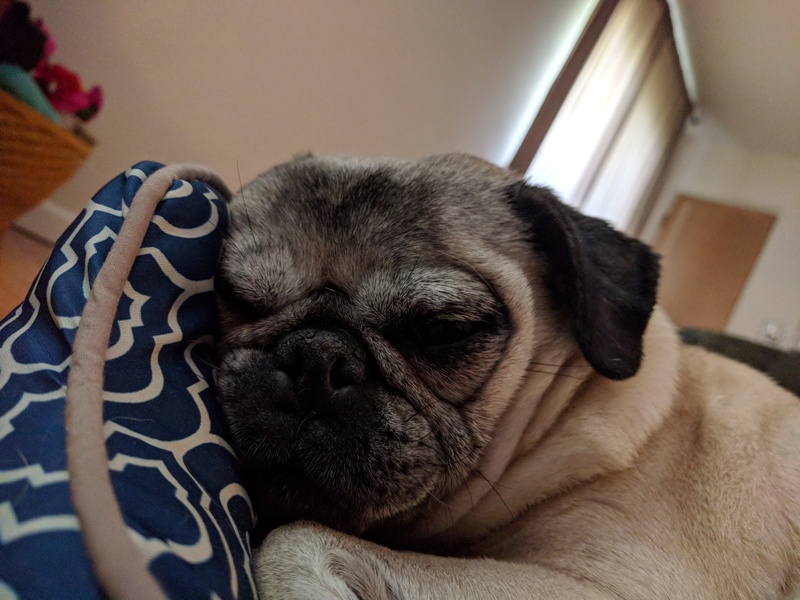 Nickie the pug is getting a little snoozy this Monday afternoon. 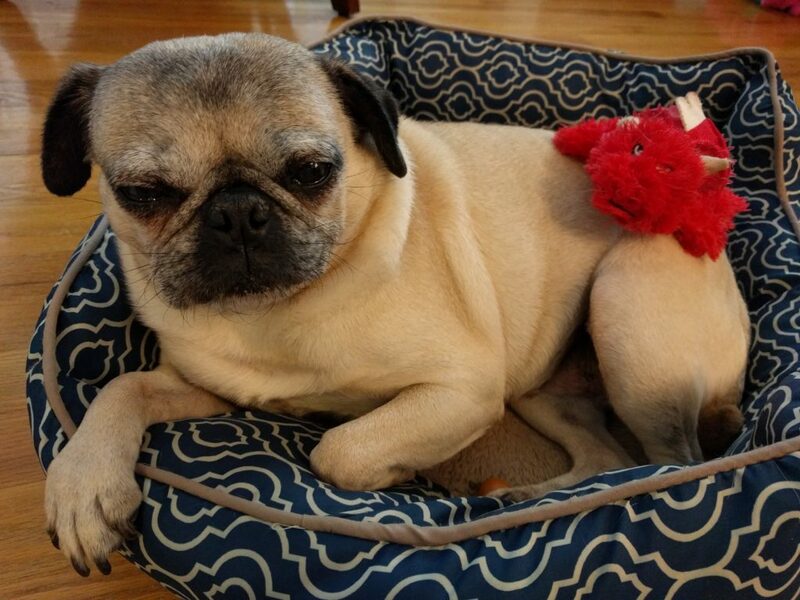 However, it appears that her dragon friend is doing its best to keep her awake! Who will prevail? We’re thinking the sandman is likely to win this battle, so we’re hoping Nickie enjoys some sweet dreams! 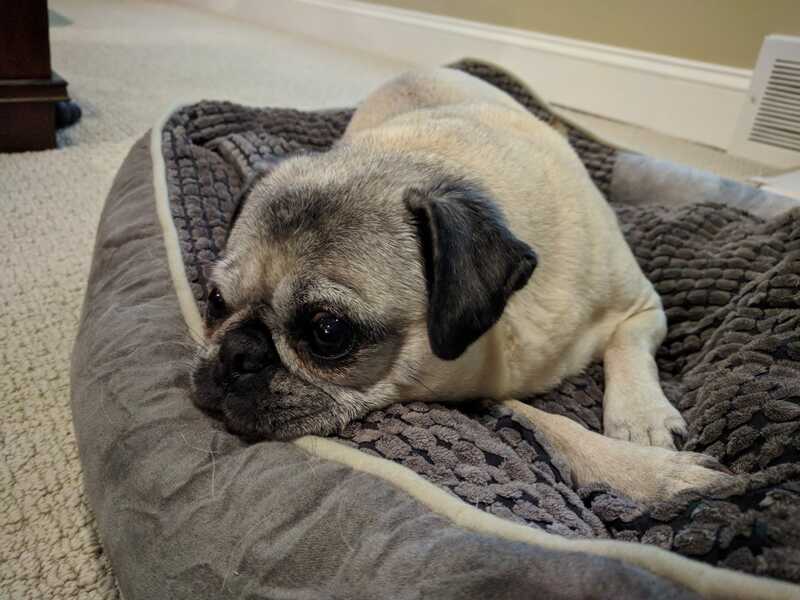 There is one sure thing that can always get Nickie looking bright-eyed and perky-tailed, even when she’s groggy and grumbly first thing in the morning. That thing is a freshly peeled banana! 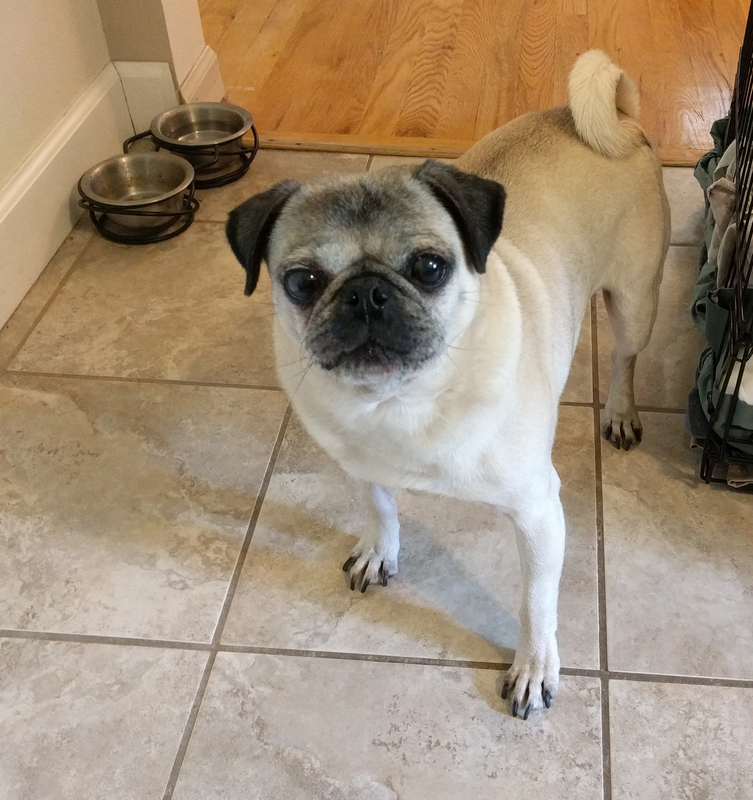 She can recognize the sound of a banana peel breaking from across the house and will come running at top speed to beg for a piece of sweet banana goodness. It’s important to stop and smell the flowers! 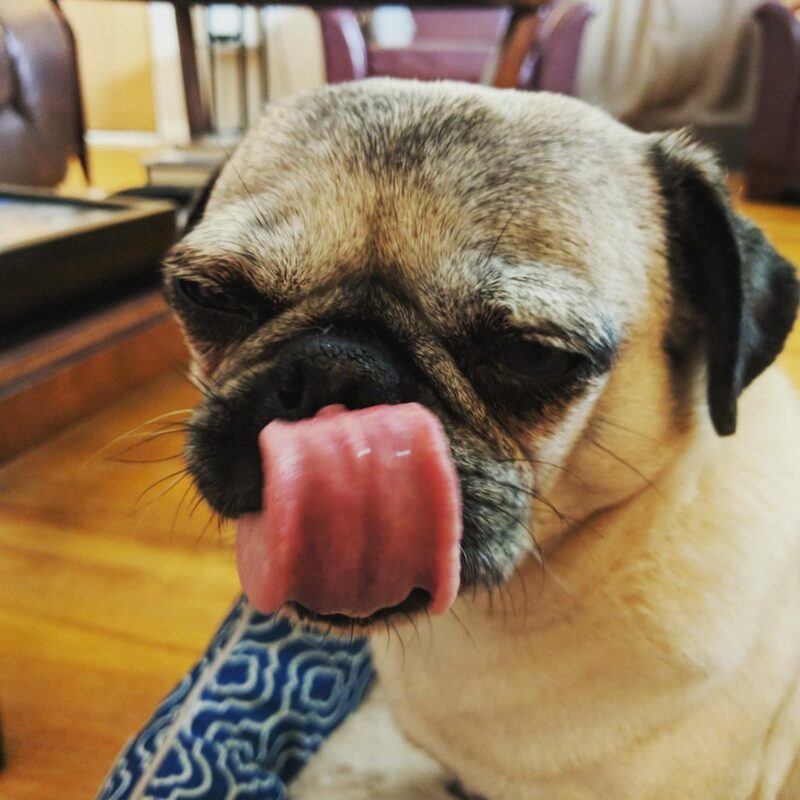 It may be too hot to spend much time outside this summer, but Nickie the pug is making sure she reserves plenty of time to stop and smell (taste?) the flowers, even if she has to do it indoors! 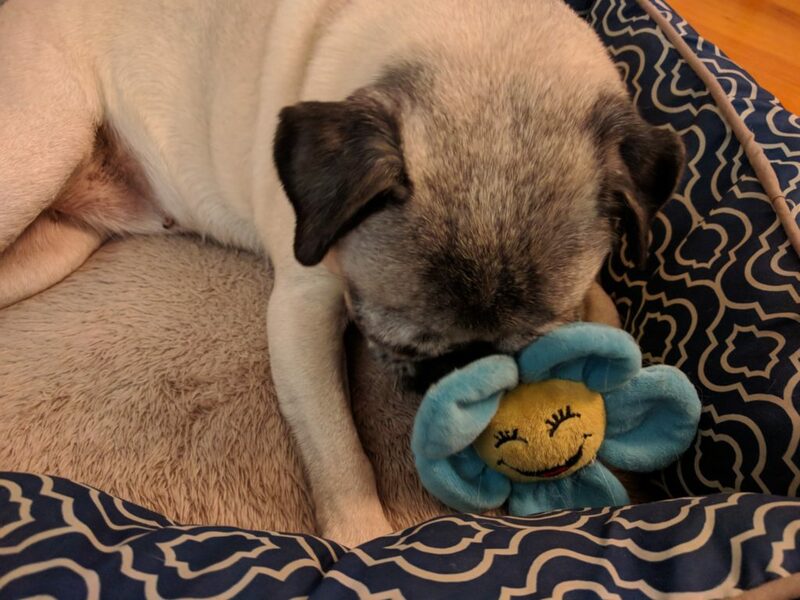 Here she is playing with her favorite flower plushie.